Preheat oven to 450°F. Lightly brush a baking sheet with olive oil. 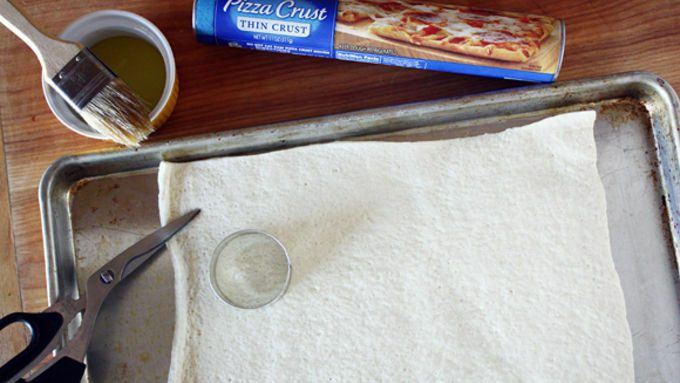 Unroll pizza crust on baking sheet and cut into four equal pieces. 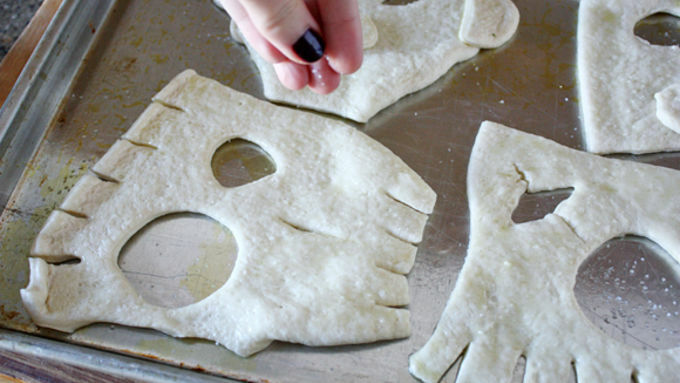 Using a knife, a pizza cutter, scissors, an ice cream scoop and/or cookie cutters, mold and shape pieces of dough into spooky faces. Brush tops of dough with olive oil and sprinkle with sea salt. Bake 10-12 minutes or until golden brown. 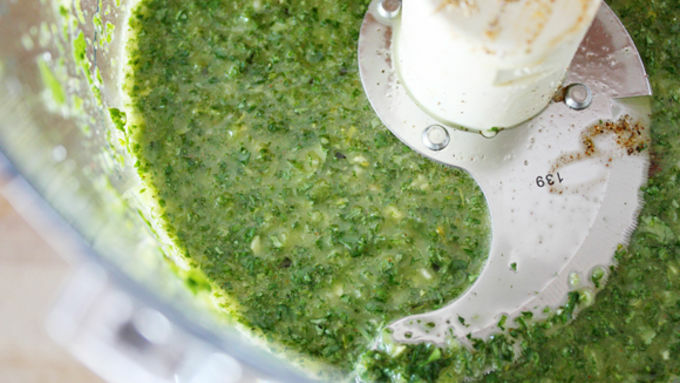 Meanwhile, make the charmoula sauce: In a food processor, process jalapeño, olive oil, parsley, cilantro, mint, garlic, lemon juice, paprika and ginger into a coarse puree. Add salt and pepper to taste. Serve flatbreads warm with sauce on the side. BOO! 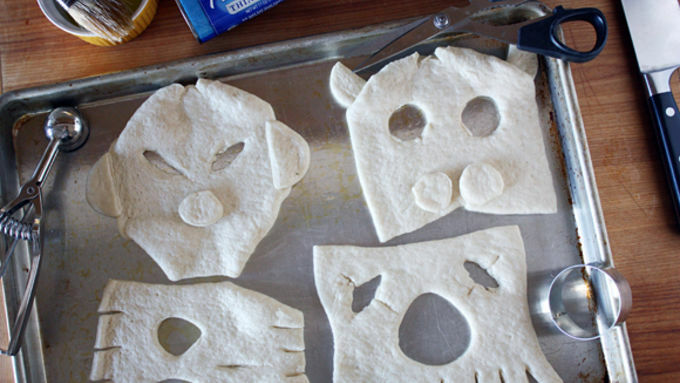 Did these Ghoul Face Flatbreads scare you? Thankfully, these little guys don’t bite – but they taste delicious. 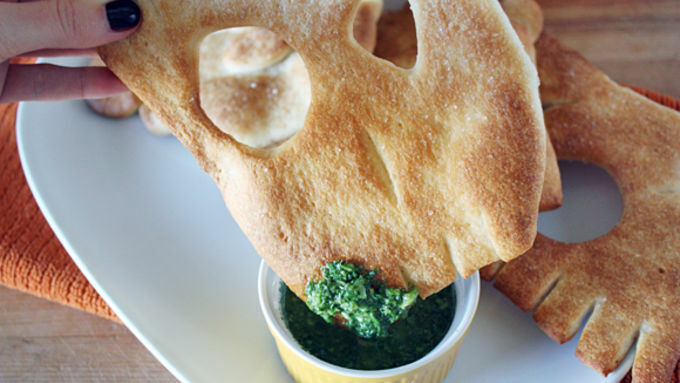 Just a Pillsbury thin crust pizza dough, some olive oil and sea salt and a goblin green dipping sauce (a.k.a., charmoula) that's spicy, sassy, spooky – well, not really spooky, but definitely yummy – and is made with a whole lotta herbs and other green goodies, like jalapeno. 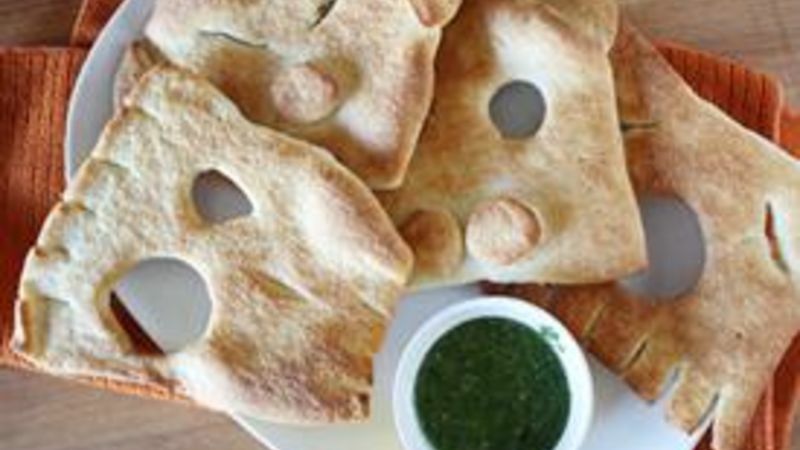 This appetizer is the fright of the Halloween party! Muhahahahaaaaaaaa. Now get a good scare out of your freaky friends, and get dipping!